On Friday 7th to Sunday 9th March 2014, jazz & blues artists from around the world will converge in Bristol for one explosive weekend as Colston Hall plays host to a programme of concerts, workshops and jam sessions that encompass the entire history of jazz. Colston Hall will once again resonate to the sound of the worlds greatest jazz and blues artists from March 7th-9th 2014. Over 350 local, national and international musicians will be performing in every corner of the Colston Hall complex celebrating all aspects of jazz and blues from the traditional to the avant-garde. The Bristol International Jazz and Blues Festival (BIJ&BF) is a full programme utilising every space within the Colston Hall, from free foyer performances and late night jam sessions, to the main arena with international artists. Now in its 2nd year, BIJ&BF has programmed over 24 individual concerts as well as free late night jam sessions and ‘In Session With..’ events featuring some top international artists such as rockabilly queen Imelda May, Afrobeat originators Osibisa, legendary drummer Zigaboo Modeliste, New Orleans ambassador Lillian Boutté and JBs saxophonist Pee Wee Ellis. Please click on the links below to discover more about the individual events surrounding the festival, or click the buy link to select multiple events in the season. @ZiggyModeliste @Colston_Hall thanks for the retweet. Hope you're feeling better now! BTW bought your album which is great - 27 sold now!! 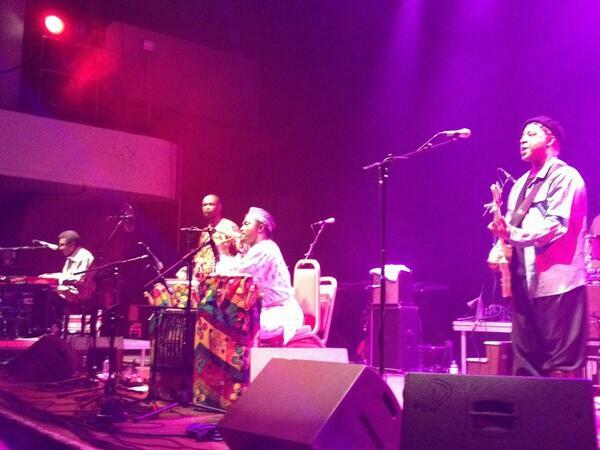 RT @CE4M: @ZiggyModeliste Great gig on Saturday at the @Colston_Hall! Totally awestruck! Amazing! @ZiggyModeliste Great gig on Saturday at the @Colston_Hall! Totally awestruck! Amazing! @ZiggyModeliste @Colston_Hall - what a fantastic set on Saturday night! Monday morning and I'm still grinning. Thank you so much! 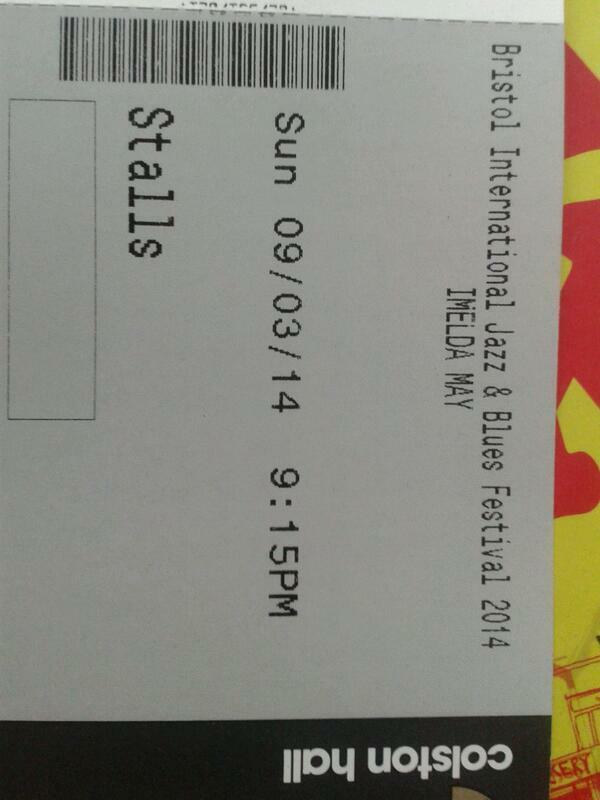 Bristol Jazz & Blues Festival, Andy Sheppard & John Paricelli, amazing performance, Colston Hall Bristol last Fri eve. Can't wait to see the lovely @ImeldaOfficial at @Colston_Hall tonight! @Colston_Hall good 2C UR avidly active wth twitter ths weekend given the fact theres a great #bristoljazzfest that's taken lots of effort! @GetTheBlessing @Colston_Hall are you guys starting sharp at 6?? RT @clivedeamer: Playing with Get The Blessing at Colston Hall, 6.50pm tonight. Adrian Utley too ! Πωω, ζηλεύω RT @clivedeamer Playing with Get The Blessing at Colston Hall, 6.50pm tonight. Adrian Utley too ! Playing with Get The Blessing at Colston Hall, 6.50pm tonight. Adrian Utley too ! RT @bonneviv: Can't wait to see @moscowdrugclub at @Colston_Hall on Friday night! Anyone else going? @bonneviv @moscowdrugclub @Colston_Hall We are thinking about going it's definitely up my street! Can't wait to see @moscowdrugclub at @Colston_Hall on Friday night! Anyone else going? Concerts in The Lantern at @Colston_Hall this year include Alan Barnes & Howard Alden Quintet, Django a La Creole & Jim Mullen Organ Trio! @Colston_Hall @GetTheBlessing Thanks! It seems something more than luck is needed! @Colston_Hall all sorted! Booking form worked better in IE than in Chrome @GetTheBlessing can't wait..! @Colston_Hall confusing message when trying to book get the blessing tickets online in January sale #wotnodiscount?